Plan your scale carefully before you start; make sure you leave room for annotations. There are always annotations. 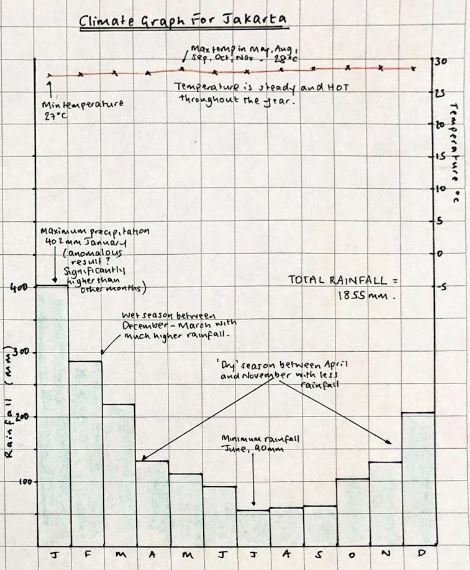 Plot precipitation as a bar graph. Use a pencil. Add blue. Plot temperature using small neat x's. Position the x in the middle of the month. Use a pencil. Join in red. Take it slow and think before you write. Work out where annotations will fit best before adding them. You should aim to annotate most of the elements listed below. 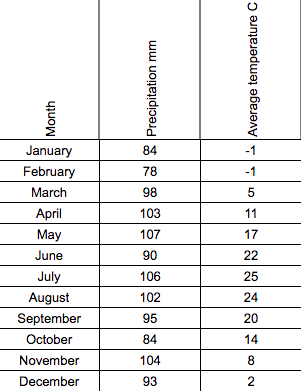 Remember to use DATA to support what you say (ie state the temperature or precipitation values and name the month(s))! 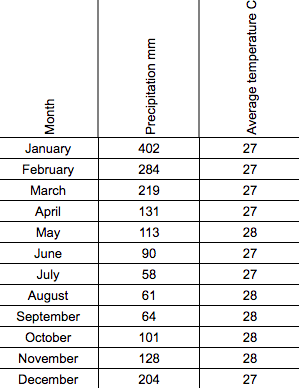 Seasons - look carefully at your graph and try to identify seasons. There might be a hot season and a cold season; a wet season and a dry season; spring, summer, autumn, winter. Identify when they are and describe them. Anomalies - are there any figures which do not seem to fit the overall pattern? Draw another graph to show the climate for New York. What are the key differences between the climate of New York and Jakarta? 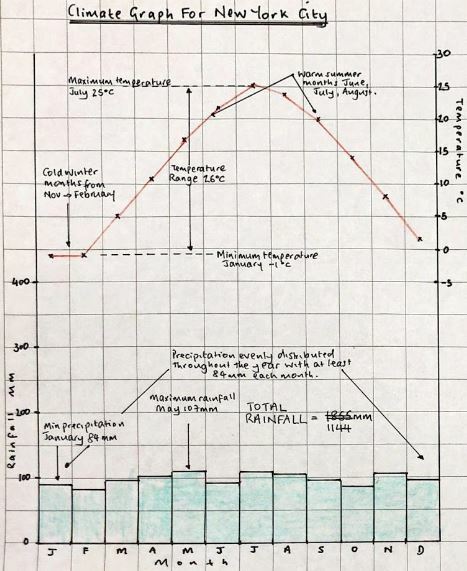 What aspects of weather and climate are missing from climate graphs? Why do you think this is?